Senator Russell Pearce and challenger Jerry Lewis displayed contrasting styles in a Mesa Chamber of Commerce Debate. The two are on the ballot in next month's recall election of Pearce. The senator showcased his knowledge and tough nosed approach to policies while Lewis came across as a polite newcomer who vows to work with others. Immigration is the key issue dividing Arizona's State Senate President and his opponent in a November recall election. At a debate Thursday night, Senator Russell Pearce (left) and businessman Jerry Lewis (right) sparred over whether Arizona’s tough immigration laws have been a boost or a bust. Author of the book Adrift: Charting Our Course Back to a Great Nation Steven Beschloss talks to host Steve Goldstein and answers listener questions about the nation's current course. Beschloss stresses the importance of citizen participation in government, and grassroots efforts to get the nation back on track. State Democratic Party chairman Andrei Cherny sits down with host Steve Goldstein to talk about redistricting and possible candidates to join the U.S. Senate race. Otto Shill, chairman of the Mesa Chamber of Commerce's Public Policy Council, talks about his role as moderator of the Mesa Chamber's candidate forum. The forum is being held due to the recall of Senate president Russell Pearce. Poet and one of Oprah's "Living Legends" Nikki Giovanni talks to Steve Goldstein about the importance of taking individual responsibility and action. This Friday, October 7th she'll be giving the Jonathan and Maxine Marshall Distinguished Lecture at ASU. A judge is allowing a Mesa woman to remain on the ballot in the recall election of Senate President Russell Pearce. That, despite ruling the candidacy of Olivia Cortes is an orchestrated attempt by the East Valley Tea Party to keep Pearce in office. KJZZ's Changing America Desk is looking into the housing boom and bust, and what it will take to recover.We're looking for true (but hardly believable) stories about the frantic rush that led us to the bubble. KJZZ's Theatre Critic Robrt Pela reviews Stray Cat Theatre's production of "The Sparrow" at the Tempe Performing Arts Center through October 8th.Robrt Pela is a columnist at New Times and a staff writer at Latino Perspectives Magazine. 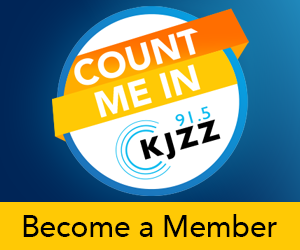 Send your questions right now by way of Facebook, Twitter or email.KJZZPhoenixMayoralCandidateInterview10122011 KJZZ’s Here and Now host Steve Goldstein will moderate a live discussion between Phoenix Mayoral candidates Wes Gullett and Greg Stanton, Wed. Longtime Arizona concert promoter Danny Zelisko talks to Steve Goldstein about his time in the industry. Murphy's Law, meeting legends, and keeping concerts running...he explains all of the things that go into bringing an audience the best experience possible. 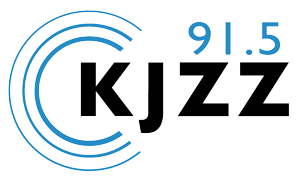 Scott Omer, the director of ADOT’s Multimodal Planning Division, and Serena Unrein, Public Interest Advocate for the Arizona PIRG Education Fund talk to Paul Atkinson about the possible Intercity Rail line between Phoenix and Tucson. Paul Atkinson fills in for Steve Golstein...Twenty years ago the annual Border Governor's Conference started as an opportunity for governors along the US/Mexico border to meet and find solutions to shared problems. What does a "post-construction" Southwest look like? What's the next industry that will create jobs and boost the economy?For years, economic growth in the Southwest was driven by the construction industry. As the country's economic downturn drags on, many wonder whether construction can lead our region's recovery. Tackling the valley’s ozone pollution problem isn’t so simple. A lot of it is locally produced. But as KJZZ’s Paul Atkinson reports, we don’t have control over other sources. The beginning of fall usually means the end of the valley’s ozone problem. And this year was a doozy. 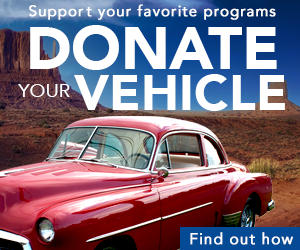 The metro Phoenix area exceeded federal ozone standards on 23-days. That’s more than twice the average of the past three years. Studio Interview: Phoenix Mayoral Candidates - Oct 12 KJZZ’s Here and Now host Steve Goldstein will moderate a live discussion between Phoenix Mayoral candidates Wes Gullett and Greg Stanton, Wed.